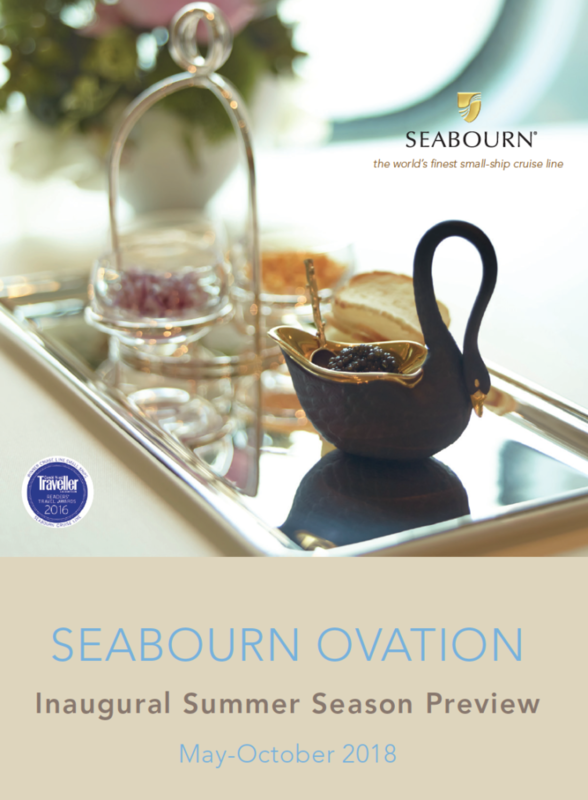 In 2018, we welcome Seabourn Ovation, crowning the most modern and acclaimed fleet in ultra-luxury. Like her sister Seabourn Encore, the strikingly beautiful all-veranda ship embodies the evolution of small-ship cruising, delivering a wealth of innovative concepts and a host of illuminating ideas to delight the world’s most discerning travellers. under the guidance of world-renowned chef and restaurateur, Thomas Keller. Her inaugural season, starting 5th May 2018 features 14 unique itineraries with 33 departures ranging from 7 to 35 days in length, visiting breath-taking locales in Northern Europe and the Mediterranean.